One of the oldest cities in the United States, Boston is the state capital of and largest city in Massachusetts. This 16th century city has played a pivotal place in the American Revolution witnessing famous events like The Siege of Boston, The Battle of Bunker Hill, and the Boston Tea Party. But apart from these notable events, Boston is also known for many well-known icons from television celebrities to athletes to great political figures. Here are several celebrities that you probably didn’t know are Boston natives. 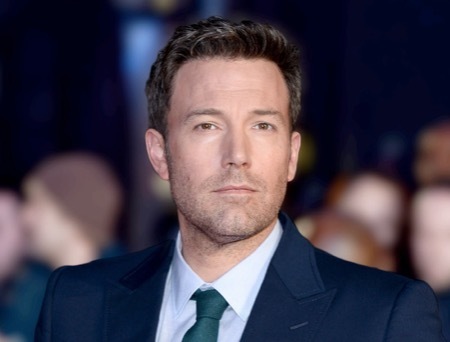 Boston’s favorite home-grown celebrities, Ben Affleck has starred in Gone Baby Gone and The Town. In his upcoming film, Live by Night, he plays the son of a Boston cop. And yes, he also had a hand in writing Good Will Hunting with Damon and also acted in Manchester by the Sea. Born in Boston, Casey is a famous Hollywood actor and director, who began his career as child actor in a movie named Lemon Sky. Brother to his more famous sibling, Ben Affleck, he has also acted in several movies like Oceans Twelve, Eleven and Thirteen and To Die For, to name a few. Mark began his acting career in 1993. He has acted in several successful films like Boogie Nights (1997), The Departed (2006), The Fighter (2010), Ted (2012) and Lone Survivor (2013), to name a few. The American actor Mark and his brother Donnie are from Dorchester. Brother to Donnie Wahlberg, Mark is larger-than-life, not only on-stage and on-screen, but also real in life. Brother to Mark Wahlberg, Donnie Wahlberg is distantly related to Nathaniel Hawthorne, grew up in Dorchester and acts in Blue Bloods and is a producer on Boston’s Finest. But what most people don’t know is that he owns a burger joint with his brothers. Matt Damon is another Boston celebrity. Damon played the more wholesome Cambridge-raised intellectual in his groundbreaking role in Good Will Hunting against Ben Affleck. Affleck plays the more physical street-smart party boy. Damon also acted in The Departed. Blurr is a Boston celebrity who is an actor, film producer and podcaster. Better known as Bill Burr, he rose to prominence when he started hosting the AMC crime drama series Breaking Bad. He has released many comedy specials and is often called the comedian of the comedians. One of the most high profile television personalities in history, Walters hails from Brookline and comes from a journalistic background. Also a writer, she came to prominence in the 1960’s when she was a segment producer, in women’s interest stories. She has hosted several television programs, such as, The Today Show and 20/20. She has an ideological connection with Boston. You may know Uzo as Crazy Eyes in the Netflix television series, Orange Is The New Black and she is from Medfield. Her full name is Uzoamka Nwanneka Aduba and she has won and been nominated for several awards. You may also like to know she went to BU, was a track athlete and studied classical voice when it comes to our higher education. Denis is actually from Worcester in Boston and is a third cousin of Conan O’Brien. He began his career on the comedy scene in Boston, and met his wife when they were studying at Emerson. Flutie rose to prominence during his college football career at Boston College, where he received the Heisman Trophy and the Davey O’Brien National Quarterback Award in 1984. His “Hail Flutie” touchdown pass, dubbed “The Pass”, in a game against Miami on November 23, 1984, is supposed to be one of the greatest moments in American college football and U.S. sports history. Paul Guilfoyle is an American television and film actor. He is best known for his role in the CBS police drama CSI: Crime Scene Investigation as Captain Jim Brass from 2000 to 2014 appearing in roughly 318 episodes. He returned to the series for the finale, “Immortality”, in 2015. He also played Officer Hickle, Detective Jack Kay, and Frankie “Hot” Salvino in One Tough Cop and also appeared in Three Men and a Baby. Born in Brookline, Massachusetts, to an Irish Catholic family, Conan O’Brien is an American television host, comedian, writer, and producer. Best known for his unique hosting style in Late Night with Conan O’Brien, he has also written many movies and hosted Conan on the cable channel TBS since 2010. A Harvard man, he was made president of The Harvard Lampoon. He wrote for the sketch comedy series Not Necessarily the News and several comedy shows in Los Angeles, and joined the writing team of Saturday Night Live. He was also a writer and producer for The Simpsons for two seasons. John Fitzgerald “Jack” Kennedy, popularly known as JFK, was an American politician who led our country as the 35th President from January 1961 until his assassination in November 1963. He was born in Brookline, Massachusetts, to Joseph P. Kennedy Sr. and Rose Kennedy. After graduating from Harvard in 1940, he joined the U.S. Naval Reserve the next year. He commanded a series of PT boats in the Pacific and received the Navy and Marine Corps Medal for his service during World War II. After WWII, he saw himself representing the 11th congressional district of Massachusetts in the United States House of Representatives from 1947 until 1953, and being elected to the U.S. Senate as junior Senator from Massachusetts from 1953 until 1960. In the 1960 presidential election, as a Democrat, Kennedy won by a narrow margin from the incumbent Vice President and Republican opponent Richard Nixon. One of the most popular presidents in U.S. history he became the youngest elected president at age 43 and was the first and only Roman Catholic to occupy office. If you want to see more movies and want more information about other celebrities subscribe to any of the Boston cable providers for their unmatched and affordable services. Most of them are related to one another. They share the same passion for acting too. Great and interesting post you got here.